College Central Network (CCN) is Chabot's official job board. resources to improve your skills in interviews, resume building, career advice and more. Students can register or login to CCN with their Student ID (W#). There are hard copy employment opportunity binders and postings available in the Career & Transfer Center. Are you an employer seeking to post a job in our Career & Transfer Center? 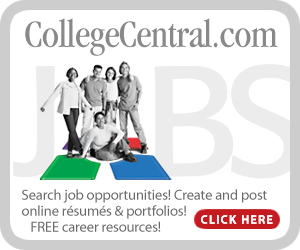 You can now post jobs in College Central Network, our web based job post database. Create an account and have full access to post jobs for Chabot students and alumni. Please include a detailed job description that includes location, qualifications, how to apply and the salary. For paid part-time jobs, provide the hourly wage or part-time salary. For a full-time position, enter a salary or salary range. Indicate if it is a paid or unpaid internship, minimum hours required, and length of internship.